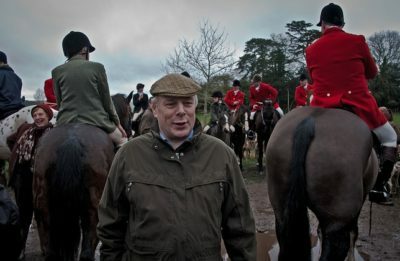 Ian Liddell-Grainger who dubs himself as “Your listening MP” has shown himself to be anything but. 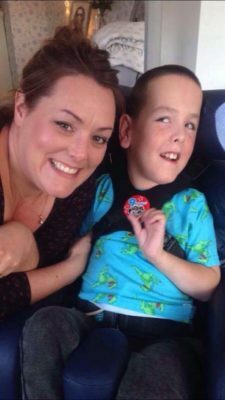 So says West Somerset Labour Party Secretary Kathrine See who cites the case of Gemma and Adam Lorey who have a disabled son, Max, who relies on an eye gaze system in order to communicate. This is a similar piece of equipment to that used by the late Stephen Hawking. Max depends totally on the support of the Physical Impairment Medical Support Team (PIMST) in order to attend mainstream education. He is a cognitively able student and very happy and settled in his school. However just before the Easter holidays it came to light that Conservative Somerset County Council had made staff redundant from the PIMST and were intending to significantly reduce the service, without any form of consultation with parents. With the prospect of devastating Tory cuts to the PIMST, the Loreys attempted to contact their local MP. However, they received no response. Kathrine has subsequently made several attempts to contact Mr Liddell-Grainger on the Loreys behalf but has received no response. She went on that “Ironically, a few weeks ago I bumped into Mr Liddell-Grainger in the street, canvassing for support during a by election. I commented to him that it was very unusual to see him and that it was impossible for constituents to contact him. He acted surprised and hurried away. Since then I have emailed him on at least four separate occasions and telephoned his office but received no replies. I would very much like to meet with him to discuss the PIMST cuts and many other local issues. However, I feel a tremendous sense of responsibility towards the people of Bridgwater and West Somerset, in a way that our MP clearly does not”. 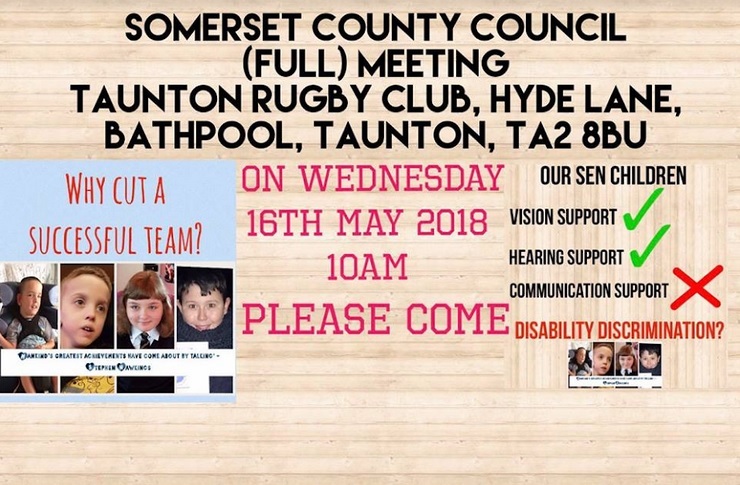 The Loreys and many other families affected by the cuts invite people to join their protest at 9.30am outside the next Full Council meeting on May 16th, which is being held at the Taunton Rugby Club at 10am. The Council will then have many questions to answer inside. Thank you. This deserves all the help we can give families who fall short of receiving the support so essential to assist the lives of these young children. The last paragraph regarding the protest is slightly confusing. The protest is advertised ahead of the Full Council Meeting which is being held, as usual, in Shire Hall. However the copy suggests the protest is taking place ahead of the next Full Council meeting on 16th May which is being held at Taunton Rugby Club at 10.00am. I hope it has a very positive outcome.